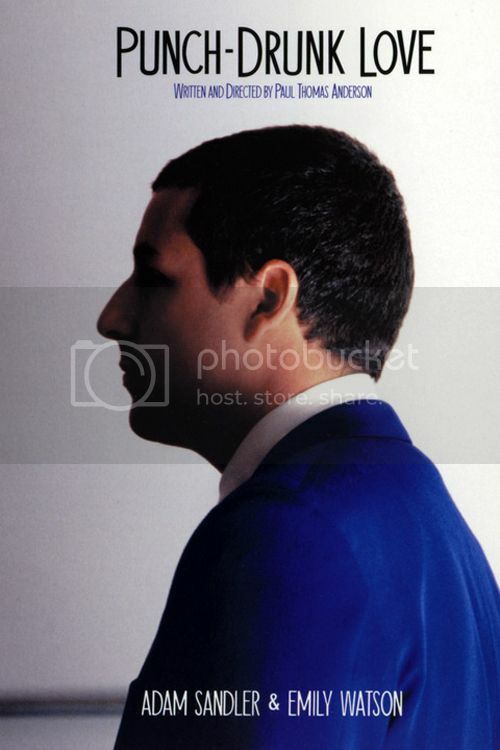 Buy, Rent or Skip Punch-Drunk Love? Punch-Drunk Love is odd, weird, quirky and totally endearing for some strange reason to me. This is definitely a Rom-Com-Drama, but nothing like you have ever seen before. I think the reason why this movie works for me is in how extremely flawed Barry (Adam Sandler) is. Think about all the Rom-Com's you have ever seen and they all fit into the "well educated, sports jock" mold which is boring. But in Barry, you have this guy that is incredible shy, almost to the point that it literally dominates his existence and any form of human contact sends him into a panic attack. On the flip side, he has extreme fits of rage, where he acts out in a very self destructive way to himself and anything around him. Now tell me, does that sound like a Rom-Com you've ever seen before? Exactly. And that's why I love the movie. He is a very fascinating character to watch on screen, as weird as he may be. This is only the 2nd time I've seen this movie, the first being when it came out. I loved it the first time I saw it and my intention was to Buy the DVD. But for whatever reason, there was always another DVD that I had to buy first. What's ironic is that I own pretty much all of Paul Thomas Anderson's movies. So, go figure.....Getting back to Sandler for a second, I thought Anderson putting him in this type of movie was a pretty bold move for both parties, especially for Sandler. Remember, he was coming off his wave of low-brow, juvenile comedies that was his bread and butter. So it was a nice departure for him in Punch-Drunk. But the main thing that I really dig about this movie is Emily Watson. I looooooooove her and she is perfectly cast in the role of Lena, his dream girl. It's the whole awkward "getting-to-know-the-other-person" phase that I think pretty much everyone on the planet can relate to. No matter how cool you may be now, there's that one time where you absolutely felt what they both were going through. I would normally say this is a Buy, but we know how that's working out for me. Definitely worth a Rent for sure. One of these days I will actually get around to Buying this for my personal DVD Library. If you are a fan of Anderson's work, then you will notice some of his returning players that he populates his films with: Philip Seymour Hoffman and Luis Guzmán. Fans of 24 will recognize Mary Lynn Rajskub.